I joined ISKCON at the age of 15. First, I lived as a brahmacari, then as a grihasta. Following the example of my spiritual master, for me the biggest experience has been preaching. As a brahmacari, my service for years was to sing and preach outside on Hungary’s streets and squares, 8 hours a day, 7 days a week. Then after I got married, my service remained similar, my harinam team grew into a smaller festival team and we were travelling by a big bus with complete festival equipment throughout the country and were holding Indian cultural programs in community centers and open air, we were going from town to town. The result was amazing. Later on I was carried away by life to other ways and the festival team broke up. I missed preaching too much and as a grihasta, I could not neglect subsistence, either. At first, I couldn’t hit up an occupation that is brahmanic, one can earn money with and is good preaching. As I was doing yoga for a long time because of my own health, I decided I try to pass this on to others. Firstly, I began to teach hatha yoga to friends, shortly I opened the first yoga studio on my own. This attempt of mine had unexpected success. From the early times I held full-house yoga classes in my own studio, every day of the week. 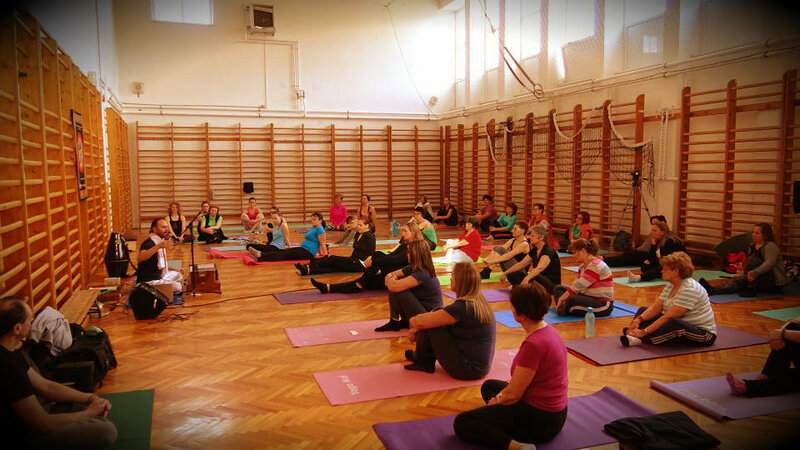 People loved yoga, as well as the philosophy and the lifestyle behind. I began to discover that the man of today is hungry for this kind of knowledge and the indirect presentation of spiritual yogaculture is very acceptable. People approach the spiritual side of yoga through motion and healthy living. This way we can gradually, in an indirect way convey them the spiritual philosophy, chanting and everything that belongs to the Vaisnava culture. I consider this kind of preaching a tremendous opportunity at present age. 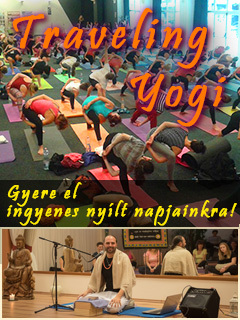 The whole world is in yoga fever, it is very fashionable to do it nowadays. Healthy lifestyle is increasingly a part of people’s lives in the West, and also its esoteric parts (like meditation) are very attractive through this way. By means of the qualifications gained in the yoga university I could open my school. In the first year, 60 students graduated at my place, most of them started it from the basics and came as karmi young people. After one year, everyone became a vegetarian. 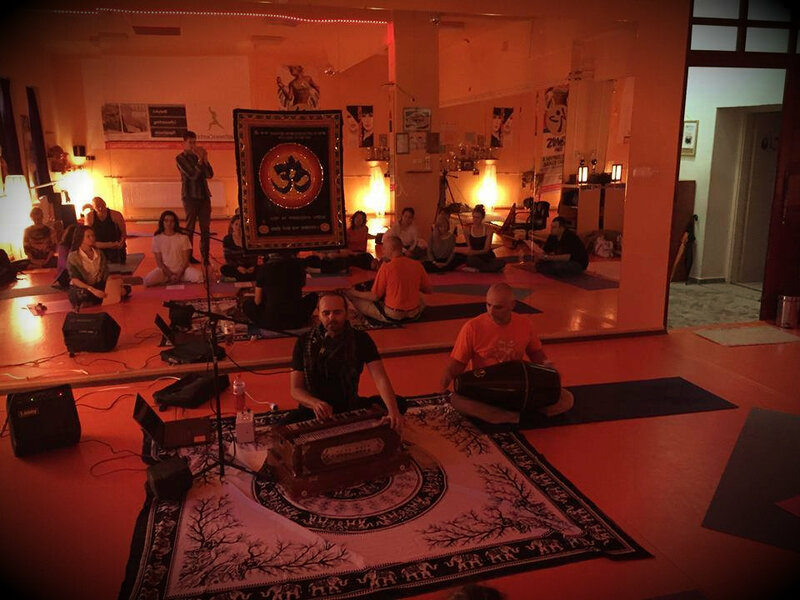 Adopting a sattvic lifestyle, conversant with the philosophy of Bhagavad gíta they started to teach, as well. Huge changes can be achieved in this field. This is a wonderfully effective preaching. I can say that I actually achieved better results than long ago with the festivals. When I went up to people openly in vaisnava attire, preaching the philosophy directly, people respected what I do, but they just couldn’t identify themselves with it. This is now a second-stage preaching, and very effective. 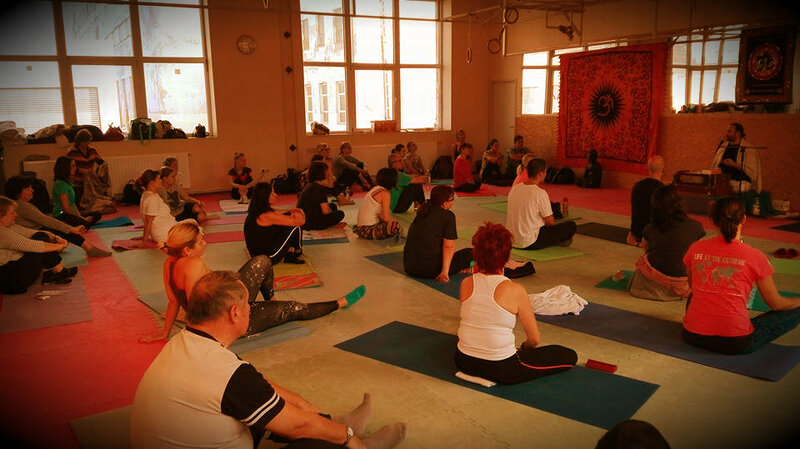 People come to do yoga, to do sport, while they learn to live a healthy life, and by the sattvic lifestyle they begin to be attracted by the spiritual part of yoga. The development is given. I think that ISKCON should focus on this kind of preaching. Many devotees should be trained so that they can become instructors and in this way they can preach. On one hand, it is a very good source of income to run a yoga studio, on the other hand it is a brahmanic occupation for a devotee and great results can be achieved in preaching. So far, I have mostly trained karmi young people. However, there is a limit to which I can work. Therefore I am reluctant to teach devotees who could all teach later on and preach this way in their own country, their own town. 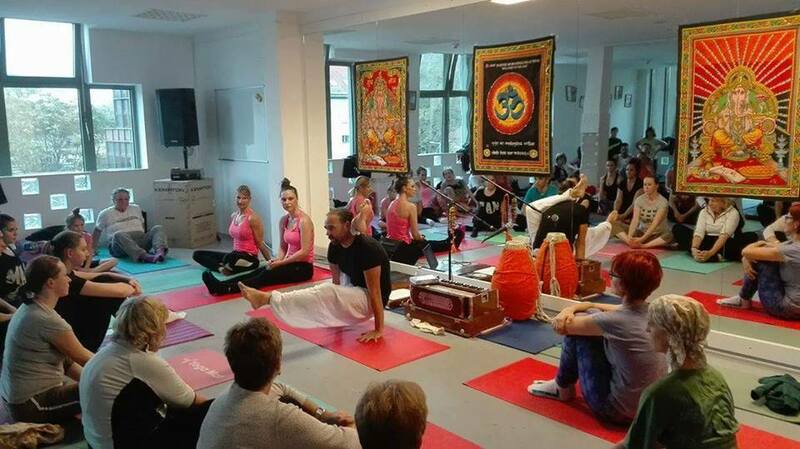 Vaisnava yoga instructors are very much needed because yoga is spreasing in an unbelievable way and most of the instructors are materialists, only trainers or mayavadis. There would be many yoga students, but they unfortunately get false approach to yoga. 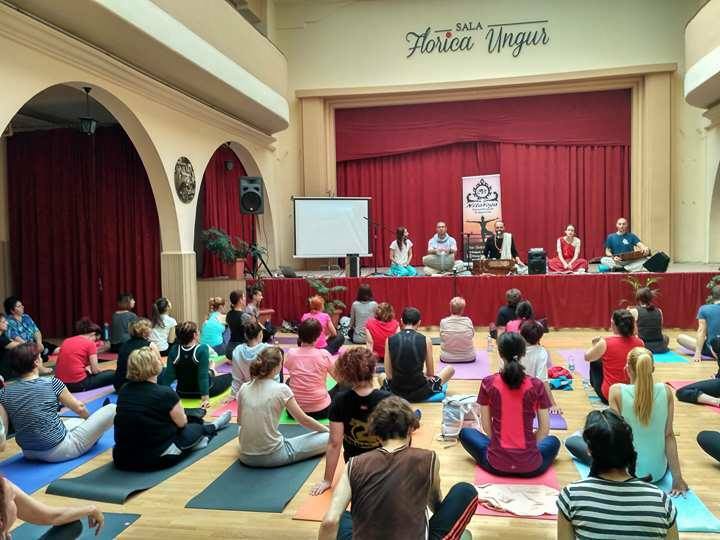 Therefore, I feel inspired to train vaisnavas so that we can teach through the world of hatha and ashtanga yoga a lot of people who are hungry for knowledge.